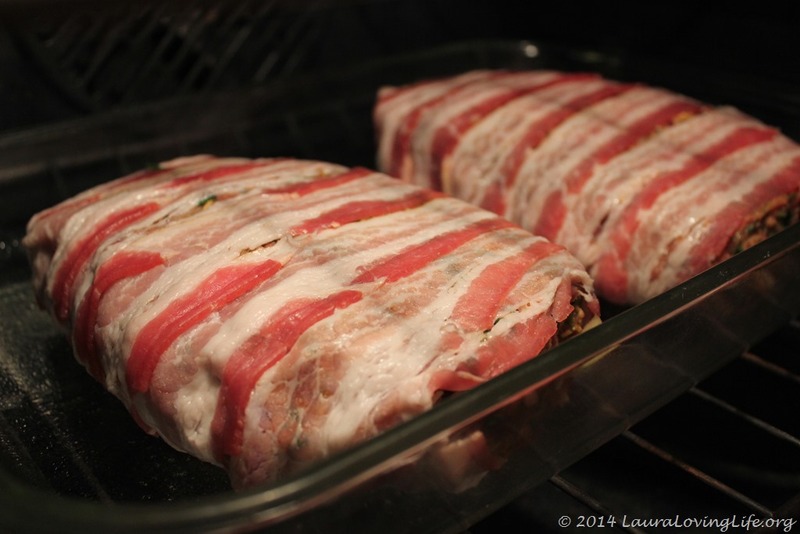 Bacon wrapped beef, who would have thought of that? I love bacon and the crispier the better! AM I RIGHT?! 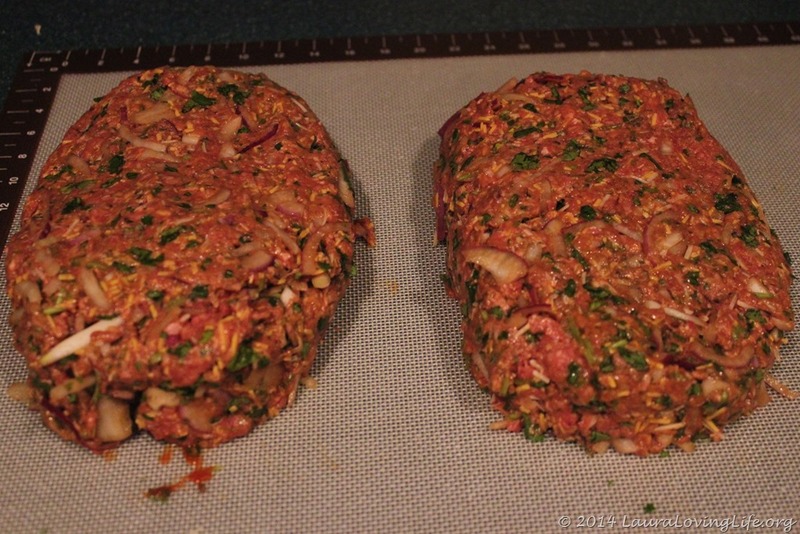 I have a great meatloaf recipe except I am trying to cut down on the carbs not the flavor. 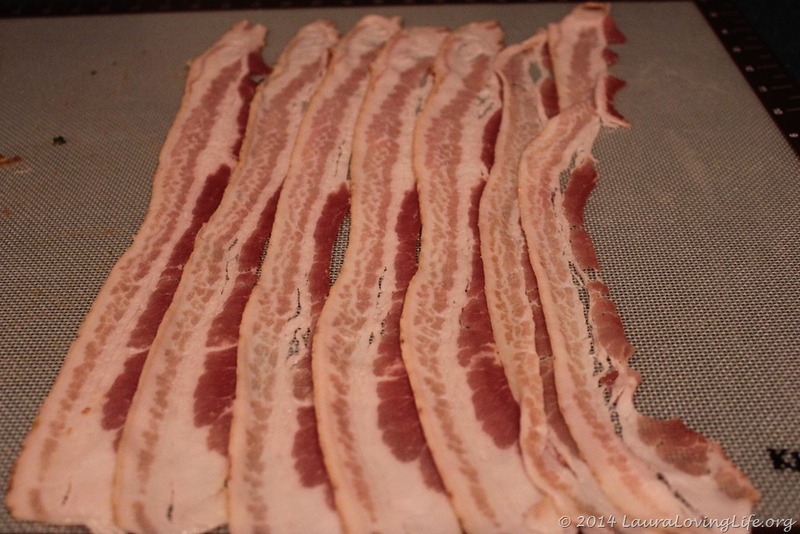 This recipe does not have a lot of binding agents hence the bacon to hold it together. I loved the flavor, but was worried the hubby and daughter would not have my enthusiasm about this particular meal. I made two loaves; one was gone with dinner the other one disappeared the next day. Apparently this was a winner. 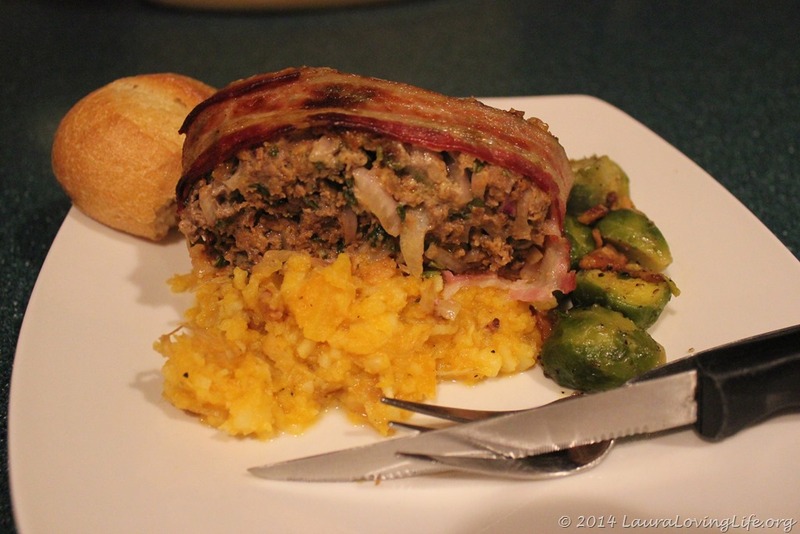 If I were to do it over again I would make little individually wrapped meat loaves. Using one piece of bacon for each. Even so I really like this. 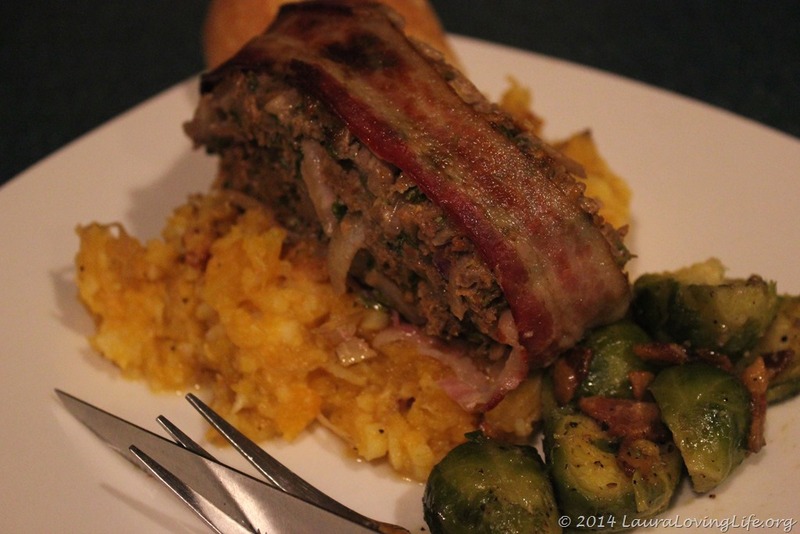 I served it with butternut squash mash and brussel sprouts cooked in bacon and a touch of honey. You could serve this with mashed potatoes or rice and it would be a keeper. This is a one bowl wonder no need to make a big production. 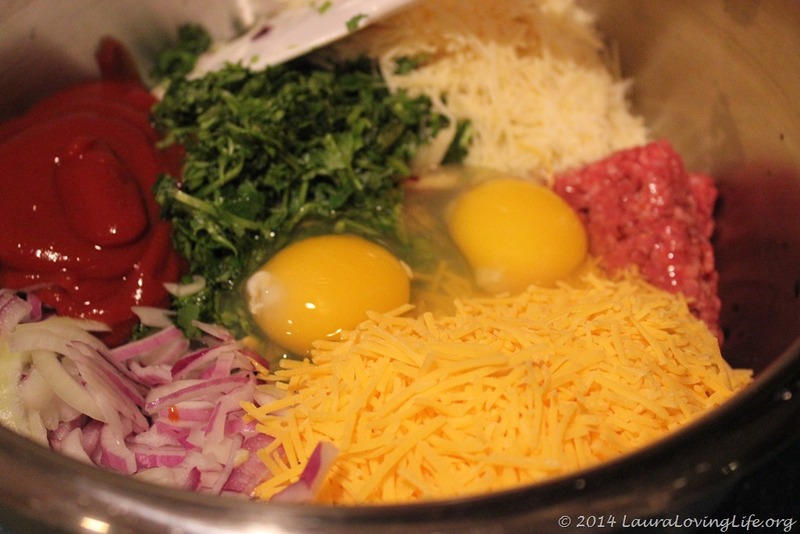 Dump all the ingredients into a bowl (except the bacon) and mix together. Once you have mixed it all together form two loaves of equal size. 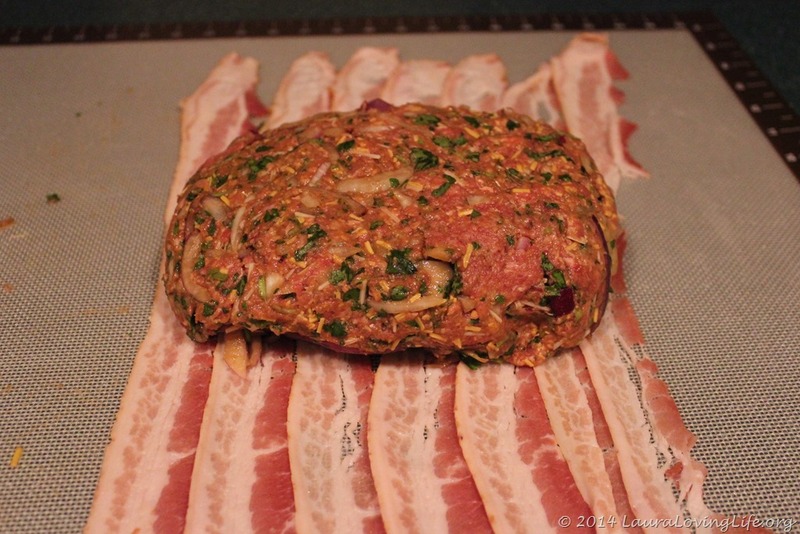 Wrap in the bacon. 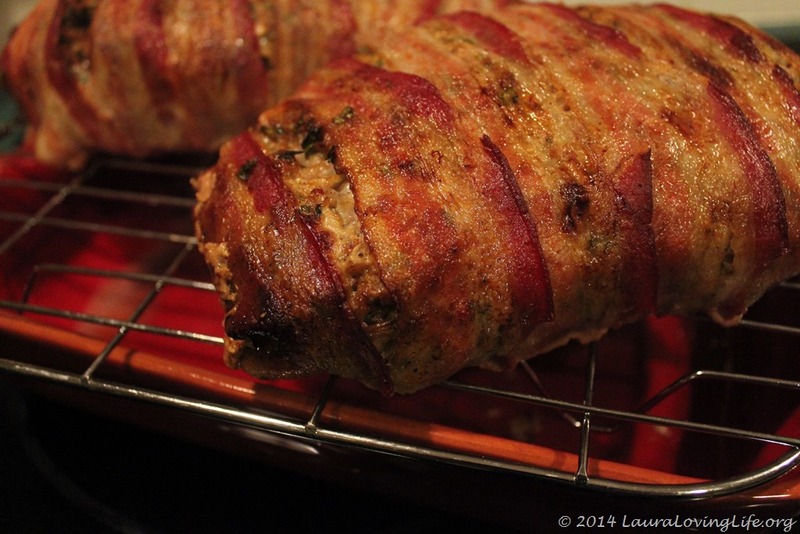 Cut off excess at the bottom (don’t overlap) crack some pepper over the top and bake at 375 degrees for 45 minutes. Remove to a rack to cool. Serve with mashed potatoes, or pasta. Again if making this again I think I will try individual servings that maybe I can cook on the stove and finish in the oven. Should you try this let me know I would be interested to see how that turns out. Hope you enjoyed the post/recipe. 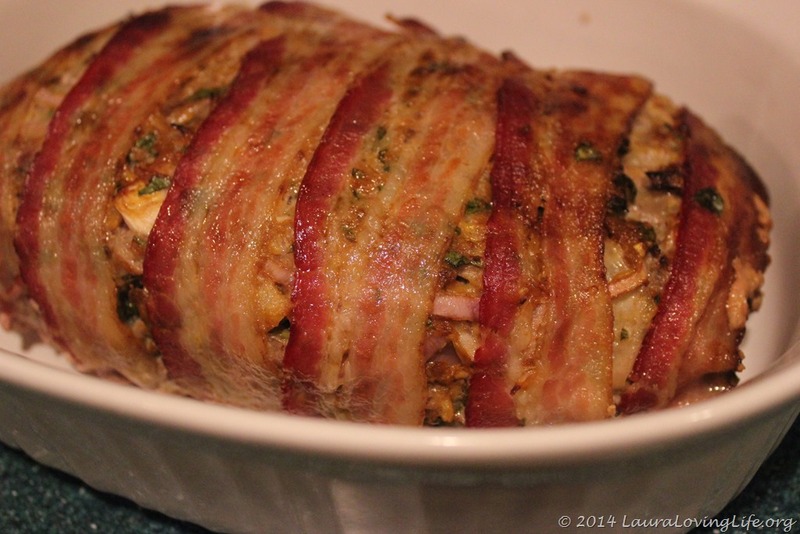 I can be reached at LauraLovingLife@hotmail.com should you want to see some type of recipes featured.